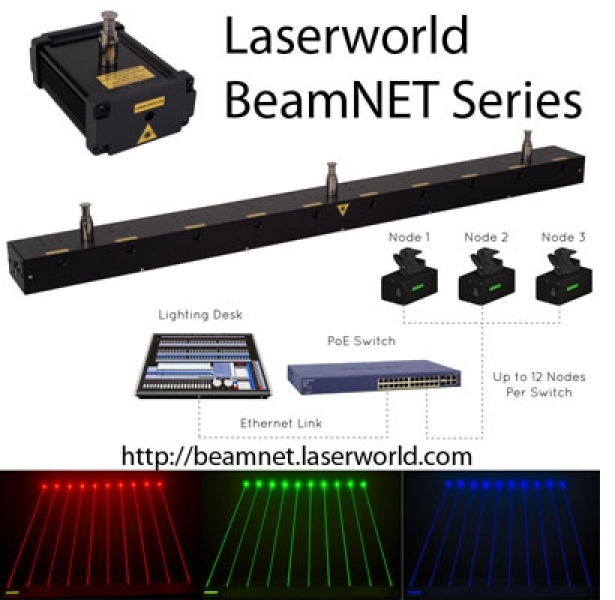 Laserworld recently published their new BeamNET Series. 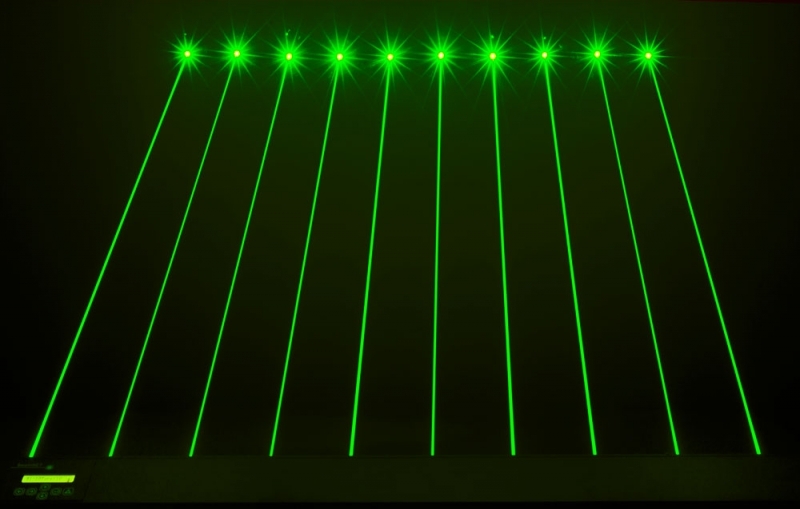 Unlike previous show laser lights, the BeamNET are pure effect solutions without beam deflection, but as extra strong single beam units. Two models with single beam output and three bar-style models with ten parallel beams each are available. BeamNET Series - more than a Laser. The BeamNET units were especially designed as easy-to-use solutions to provide additional effects to medium to large productions, stages and big shows, without the need of complex control and setup: All BeamNET systems can easily be controlled through DMX/Artnet and allow easy trigger of every single laser source. The BeamNET Series seamlessly integrates with any existing light show with every kind of common, modern light desks. As the BeamNET addresses professional applications, the power supply was standardized – and all units get powered through a Power over Ethernet switch. This means: Only one LAN cable runs power and control signal to the units. No extra power supplies are needed! 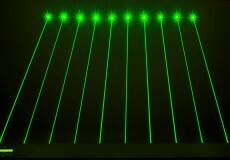 The ten-in-one laser light bar is equipped with ten diodes, which are available in blue, green and red. They are aligned in ca. 10cm distance to each other and thus provide ten parallel arranged laser beams. Diefferent chaser effects are possible, as each diode can be controlled individually - chasers between different BeamNET units are possible too! Two single beam models are available, in blue and RGB (white light). The blue version offers a static beam with an output power of up to 2 watts. The RGB / white-light system features a two axis servo driven position control, this helps in accurately positioning the beam. An on-board display provides quick setup options for each node without the need for additional external control.